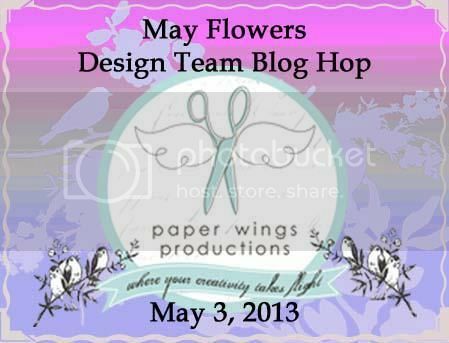 With April showers brings "May Flowers" which happens to be the theme for this month's Paper Wing Productions' Design Team Blog Hop and giveaway! If you've arrived here from Dana's blog, then you're in the right place. If you just happened to stumble into the hop, please CLICK HERE to start from the beginning because you won't want to miss any project. My backyard is coming into bloom. The fiery flowers on the pomegranate tree are bursting open and the dainty white flowers on the lemon tree are lending their sweet scent to the air. We just planted jasmine to climb up the back fence and charm us with their fragrance. 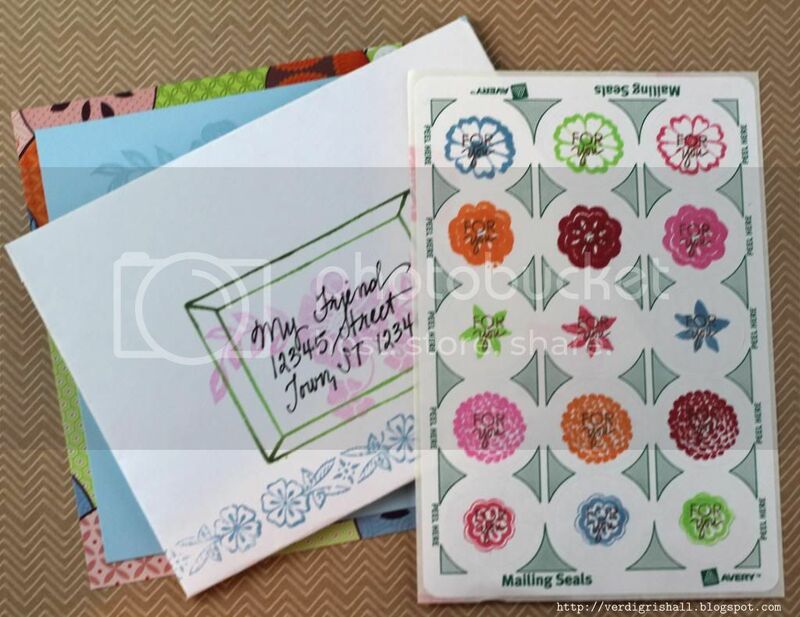 Flowers are such lovely blessings and this month our creativity is in bloom using Paper Wings Productions stamps to bring you some floral inspiration. 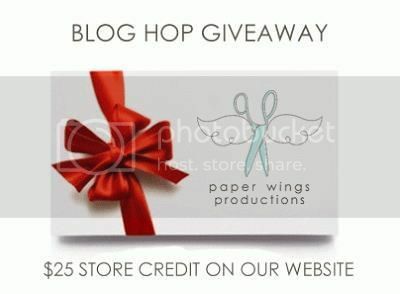 We’re also giving away a gift certificate to Paper Wings Production’s online store to one lucky follower. The winner will be announced on Tuesday, May 7th, 2013 on the The Aviary. I decided to make a little gift of notecards that can be given to your mother, grandmother, aunt, sister, friend or another mother figure in your life for this upcoming Mother's Day. My color palette and the papers I chose are funky and bold with a dash of fun thrown in for good measure. No shrinking violets here! 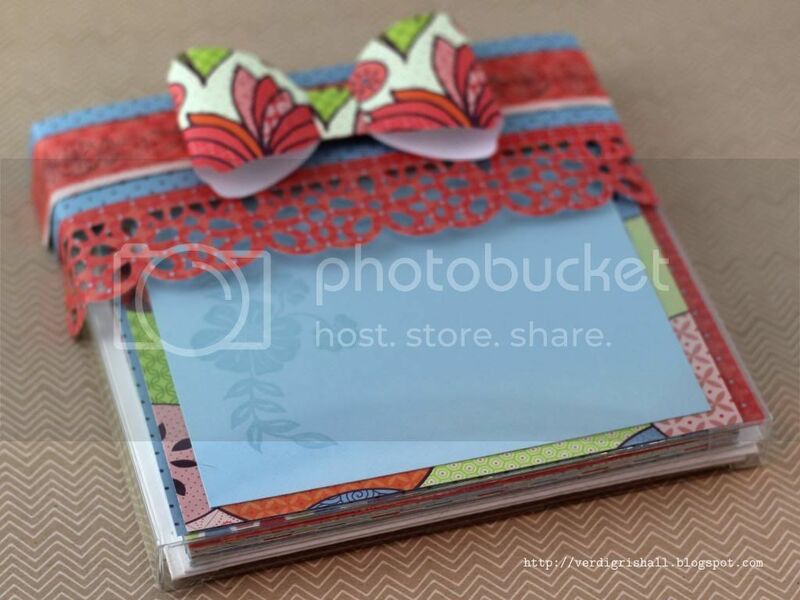 What I love about this project is that we all have so much patterned paper, colored cardstock and inks that we can easily make this for anyone and customize it to suit their taste in a short amount of time for practically any occasion. Need a hostess gift? No problem. Need a gift for your child's teacher? Not an issue at all. A neighbor is moving away? Send them off which this gift to keep in touch! Meeting with a friend who is going through a rough patch? This makes a thoughtful gift to show you care. Going to a wedding shower? Make a batch of these up to match the wedding colors/theme and add the bride's new initials so she can send out personalized thank you notes. I wanted to show you a very simple version that you can use as a jumping off point. I stamped the flower with leaves from Flower Power or Floral in Versamark on a piece of blue cardstock and attached it to a larger sheet of patterned paper. 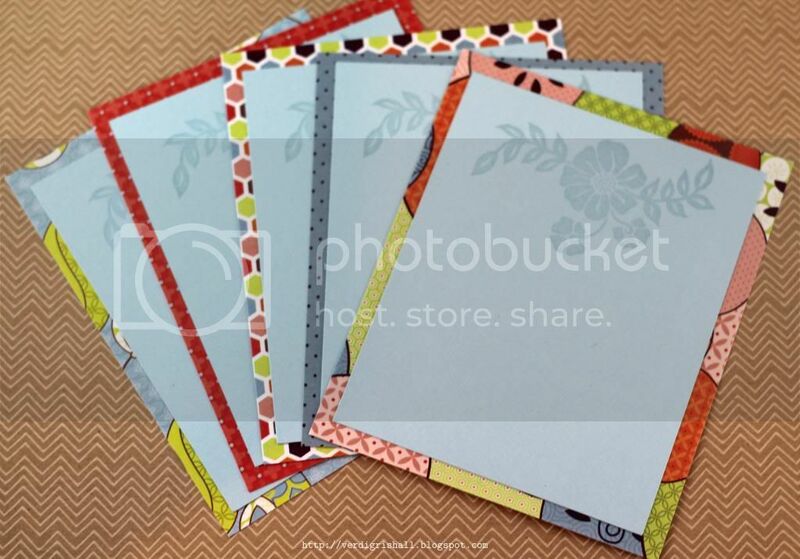 I mixed it up by using several different sheets of patterned paper from the same collection pack. You can make dozens of these in no time. 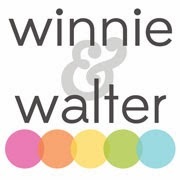 For more interest simply heat emboss the image or stamp a word, name or initials over the image using any number of Paper Wings Production's alphabets like Perfect Alphabet, Funky Alphabet or Whimsical Solid Alphabet. For the envelope I stamped the floral border from Kind Words or Moments on the back flap and also on the bottom of the front of the envelope as well as used the frame from Life Framer for the address and again stamped the flower with leaves image from Flower Power or Floral. Next I stamped all the little flowers from Flower Power and Single Flowers in matching inks on some mailing seals and added the sentiment from Sophie over each one in brown ink. I love the mailing seal as it adds a sweet little touch to an envelope. We all know how important packaging a gift is...it makes all the difference. To package my notecard set I reused clear packaging that I then wrapped in three layers of strips of patterned paper. 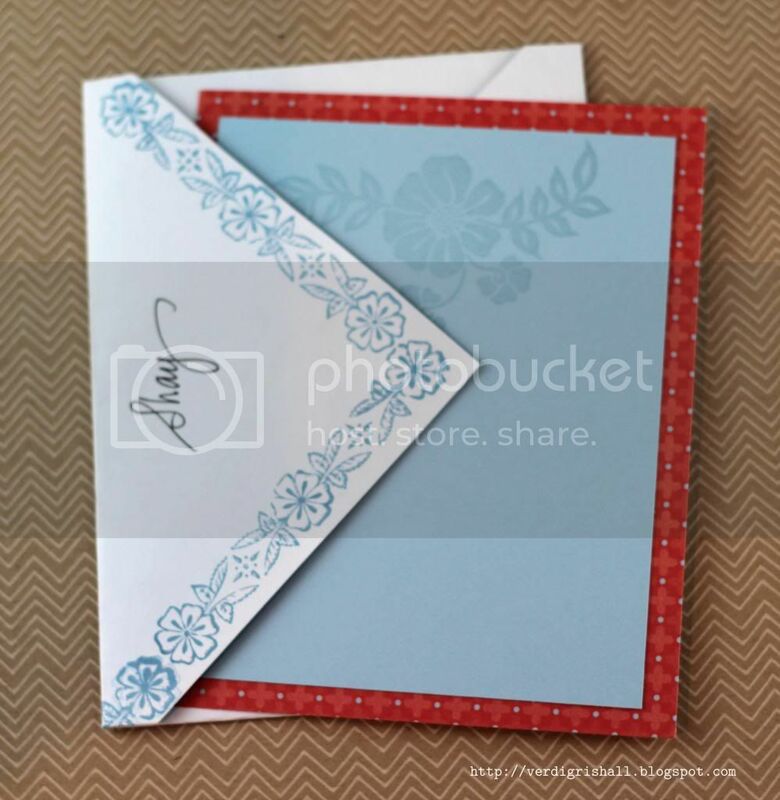 The bottom layer is punched with a daisy border punch and the top strip stamped with the floral border from Kind Words or Moments. 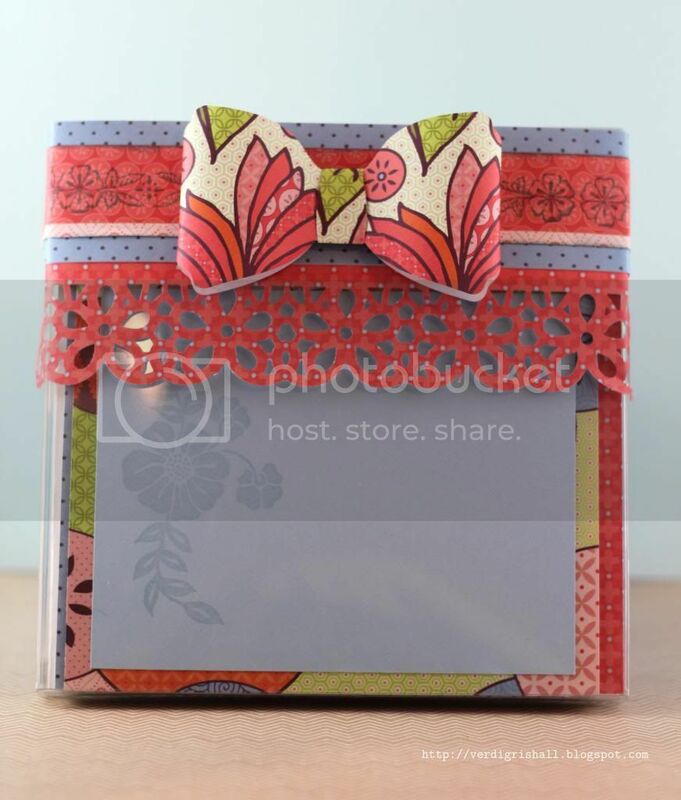 I finished it up with a bow cut from another piece of patterned paper. I must admit I really adore the bow. Now it's time for your next hop on this parade of flowers. Make sure to head on over to Carrie's blog next! 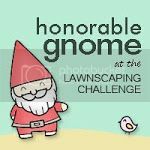 Thank you so very much for visiting with me and have fun being showered by the May Flowers blog hop! Awesome cards Shay! 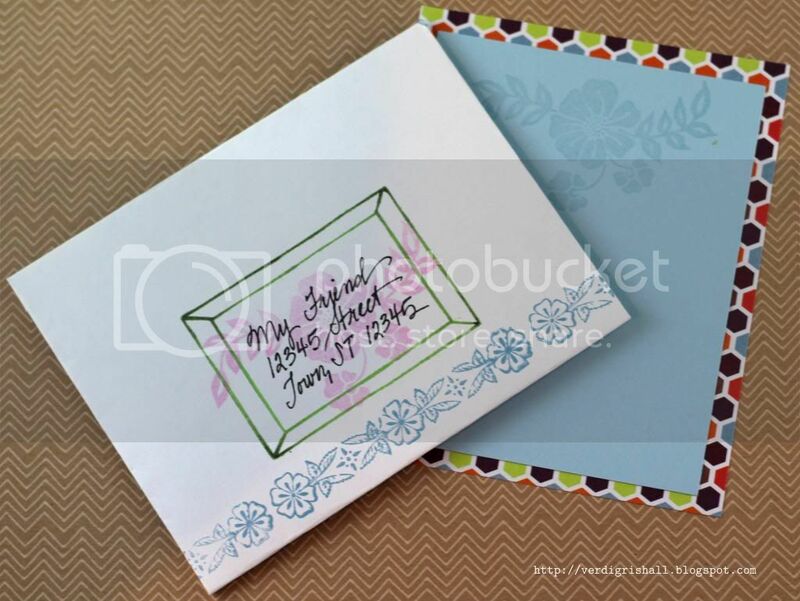 I love the bright colors and that you decorated the envelopes. They're sure to stand out from the rest of the mail! Beautiful cards Shay and I really enjoyed reading your post too. Have a wonderful day!! What a gorgeous gift! Whoever gets this is very lucky. Love the envelopes! Great gift idea! I, too, love the bow and the bright colours. What a gorgeous gift!! The cards and envelopes look amazing!! Thanks for the inspiration!! Gorgeous and what a fun gift idea! Shay, tbis is a gorgeous pr oject and you are right: what a wonderful quick grab gift to have on hand. Great gift idea, love your stamp work! Shay, These little cards are so cute, and would make very nice gifts. Thanks for the idea. Oh wow this card gift set is just amazing! I love the little bow decoration!